I am standing in one spot running in circles with my one foot stapled to the floor! AAHHHH! I NEED crafty time! It is my therapy... my solace... I decompress best when I get to hide up in my studio - so this week I pulled EVERY ounce out of the spare minutes I had to get my DT commitments completed! 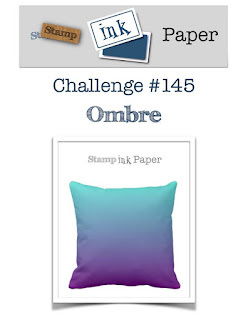 The Stamp Ink Paper challenge this week is all about OMBRE! I LOVE this look! And I had so much fun with this challenge! in Cracked Pistachio and gave this layer a blast of sprayed water! 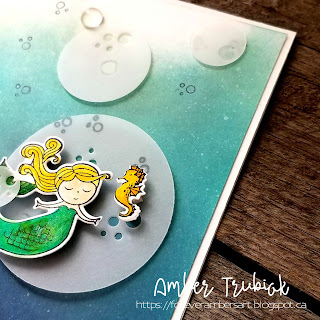 The stamp set I used is called Magical Day from Stampin Up! 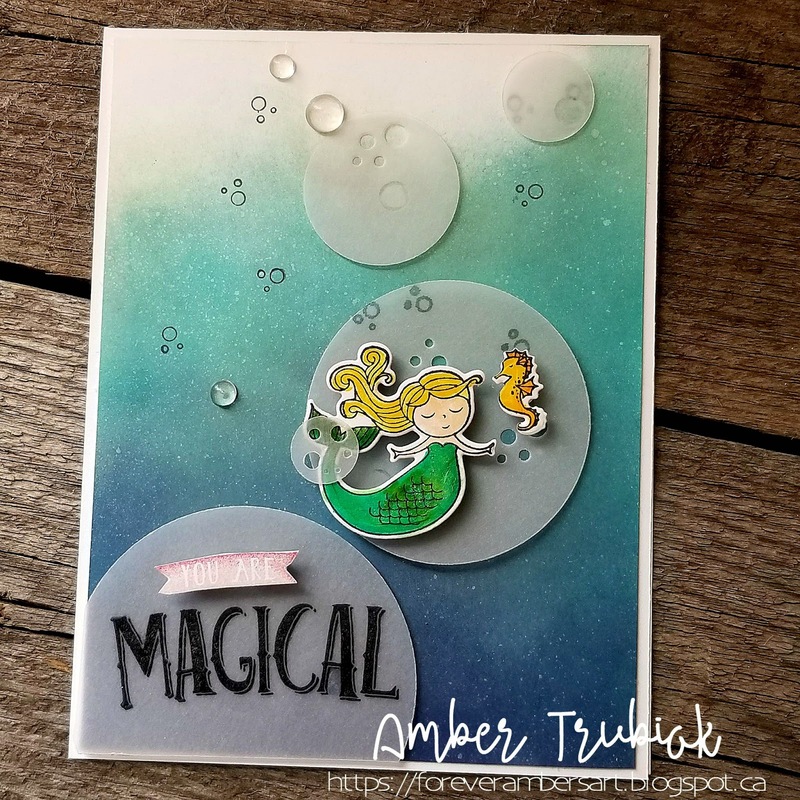 That little mermaid was colored with my Zig markers - a slight sparkle is added with my Wink of Stella! 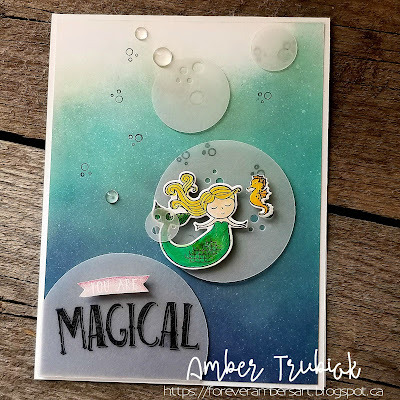 Those vellum "bubbles" have tiny little holes cut with the matching framelits for the stamp, called Magical Mates. They are adhered with glue dots - which worked great with the them of this card. Did you check out all of the Design Team's projects this week??? You should - they all ROCK! Be sure to link up your card designs for our challenge this week! Play along with us and show us some Ombre! Just click on our challenge image below to go back!